In 2003, Father explained: “What is the meaning of Cheon Il Guk? Two persons become one. That is the Kingdom of God on earth. Centered on the blessed family we can build the Kingdom of God.” In other words, beginning from two single individuals, two families, or two nations, if each unites with the other, centered on God, God’s Kingdom, Cheon Il Guk, can be built. Here, Father is describing God’s heart. God had to trust, serve, love, and sacrifice everything for the sake of His children and the world, even when He knew that He could be hurt, betrayed, or rejected. It was the same for True Parents — and the same for King Sejong. King Sejong also lived by the principle of trusting his retainers and laborers, having an attitude of serving the nation and all he came in contact with, loving his people regardless of social status and sacrificing his life and personal emotions for the sake of a greater cause. One famous example of his attitude can be seen in the creation of the Korean alphabet, officially called hoonminjeongeum (“the correct sounds for the instruction of the people”). Up until then, as their written language, Koreans had used Chinese characters, as had the Japanese, Vietnamese and others. Yet, learning these characters was difficult and only the wealthy had the time to do so. King Sejong’s wish to develop Korea’s own alphabet for the convenience of commoners was one of his deepest passions. His people being able to learn written communication would raise the intellectual, scientific and cultural standards of the nation. 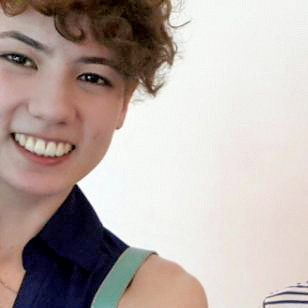 Nevertheless, creating hoonminjeongeum proved to be one of the most controversial projects of that time. King Sejong was a stubborn man; he did not give up easily when he had set his heart on something. In order to build trust and keep a respectful peace among his retainers, he might drop a certain idea, only to pick it up again several years later. A group of scholars, most notably, Choi Manli, jointly produced a long letter of reasons against disseminating a Korean alphabet. In summary, they argued that since hanmoon (Chinese classical literature) was the means by which sages studied neo-Confucian teachings written in Chinese characters, if the people were unable to learn the characters they would remain ignorant of hanmoon and thus, ignorant of the world. Perhaps underlying this view, some noblemen didn’t want commoners to become knowledgeable, which might threaten their status and power. In any event, King Sejong chose to believe that his retainers were also thinking about what was best for the people, disregarding any negative motives. In the end, it took 13 years for hoonminjeongeum to be proclaimed; the Korean alphabet is now considered one of the most ingeniously designed alphabets in the world. King Sejong’s heart of service to the nation – and the opposition of many nobles to him — is well-depicted in the recent KBS drama Jang Youngsil, about one of Korea’s greatest scientists who was sponsored by the king. A press preview of the series is above. The entire 24-episode series can be viewed with English subtitles on YouTube. King Sejong sought to maintain the mindset that he was a servant of the people. He was respectful and humble towards people regardless of social status. He was often heard to say, “I am not worthy to be king.” This is a definite indication of his humility even towards those of the lowest status in a country where traditional hierarchy is a basic social norm. It did not matter to him whether they were noblemen, soldiers, farmers, students or elderly people, he sought people out and listened to them, because he knew this was the only way to understand their needs and wants. King Sejong did not boast of his own worth, but instead made everyone he met feel worthy, even if they were not, by any other standard. Therefore, one can imagine the positive or negative responses this would have caused, since such courtesy from a king was out of the ordinary and perhaps even looked down upon. Yet in such a way King Sejong strove to serve and love his people and his nation. However, King Sejong’s life was not without pressure and stress. Every moment, whether awake or asleep, if others were not surrounding him, servants at least attended their king; he had no real privacy. Life in the royal family was not easy; the palace never lacked drama brought on by scandals amongst the princes or others; not to mention the untimely death of several of his own children. King Sejong had to train himself to balance his personal life, family life and public life. He had to learn how to make sacrifices, especially of his personal feelings, in order to stay focused on his purpose. Not everyone in Joseon felt the same way as he did about the country. Not everyone cared, as long as their lives were not inconvenienced. Perhaps he didn’t even receive much recognition from his people at that time or was even as great a leader as we now believe him to be. However, his sacrifice impacted the Korean nation greatly and it wouldn’t be the nation it is today if not for him. King Sejong placed high value in the Heavens and Confucianism, from which were derived the core values of his reign. In the Analects of Confucius is a passage that King Sejong was known to live by: “[a leader should] lead himself well, because if a leader is able to lead himself [he is] able to lead the world.” Just as it was to King Sejong, self-mastery is one of the fundamentals for those in any religion or other organization even today. We can easily recognize the same concept in a quotation Father is famous for: “Before seeking to dominate the universe, dominate yourself.” This proves that such a principle does not change with time—700 years in the past or the future. Especially within a vertical social structure, such as Korea’s, people respond to acts of the heart. These constitute a universal language accepted and respected across any culture, race or status. Awareness of this is something King Sejong and True Parents have in common. Amanda Hokanson is a Korean-English translator for PeaceTV with FFWPU International Headquarters in Korea and news anchor of PeaceTV’s Weekly Update English broadcast. She attended Barrytown College of UTS in 2014-2015. The form generally used by Koreans is Sejong the Great (Sejong Daewang), which is the short form of his official posthumous title, Sejong Jangheon Yeongmun Yemu Inseong Myeonghyo Daewang. His birth name was Yi Do (李祹). 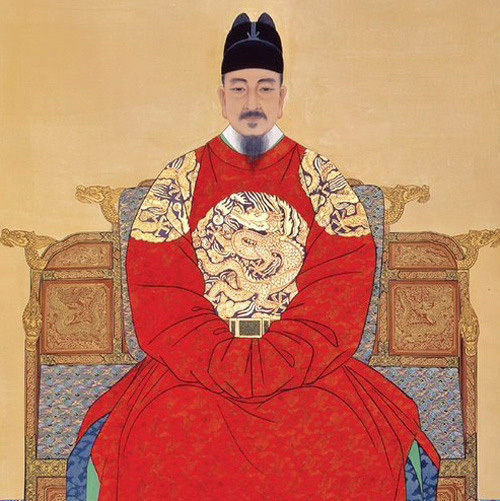 Birth name Yi Seong-gye (李成桂), the first of the royal Yi tribe. Hong, Iseop, King Sejong the Great, Seoul: King Sejong the Great Memorial Society, 1971 Print. Korea Economy Research Institute, Korea Economy Research Institute, 2014, Web. 16 April, 2015. Shin, Sedon, “Sejong’s Communication Leadership,” Online video clip YouTube, The Institute for the Future of State (sic), 23 February 2013, Web, 10 March 2015. One of the core teachings of Confucianism is the Three Fundamental Principles in Human Relations: king–subject, father–son, and husband–wife. Jeon, Gyeonil, Read Sejong’s Code: Korea Economy News Hangyeong BP, 2003, Print. P. 22. Thank you, Amanda, for this well-researched and well-written essay. Although I was aware of King Sejong’s contribution to Korea’s history by commissioning the creation of Hangul, I was unaware of his general attitude towards his fellow humans and his “servant-leadership” style. Thanks for helping us know more deeply such a precious historical figure. Do you mind to also write about Admiral Yi Sun-sin (Hunminjeongeum: 이순신; 李舜臣)? With King Sejong, he is one of the greatest heroes in Korean history. Thank you for writing this very good article. Since I have lived in Korea a long time, I can say that I have met many people who have a similar character like King Sejong, especially school principals. It is not surprising, as Korea is the chosen and elected fatherland, after all. True Parents of mankind have invited numerous people to get a taste of what Korean culture is like, but how many really feel that they ought to emulate many cultural aspects they came to know? For instance, do we really become more generous with money, more serious in attendance, more polite in speaking to others using respectful family (or business) titles? I think it is needed to make one world culture of heart, but is this sufficiently understood? Hi Amanda. Thank you for sharing your research. Another interesting story about Sejong is how he became the king. He wasn’t the oldest son and so normally would not have inherited the throne. But he so lived his life, in the way you described, that his two older brothers realised he was more qualified to be the next king than they were. So they disgraced themselves at the royal court so they would be expelled leaving Sejong to become the next king. In this he was like David who won the love and respect of Jonathan, Saul’s son, so that Jonathan transferred to him all the symbols of being the heir to the throne. In other words David, in the position of the younger brother, Abel, won the love and respect of Jonathan, in the position of the older brother, and so was given the birthright. David had been anointed and appointed by Samuel to be the next king of Israel but it is not enough to be anointed and appointed. One has to win the love and respect of the older brothers and sisters. And the younger ones too of course. They have to ratify the appointment.